The Mwanza Sewing and Training Centre (MSTC) is a joint venture between a Tanzanian organisation – Small Industries Development Organisation (SIDO) – and Tools for Solidarity. In 2007, the Mwanza Sewing and Training Centre was opened to help with the development of the tailoring sector amongst the poorest sections of both rural and urban areas of the Lake Region of Tanzania. Which support is offer by MSTC? 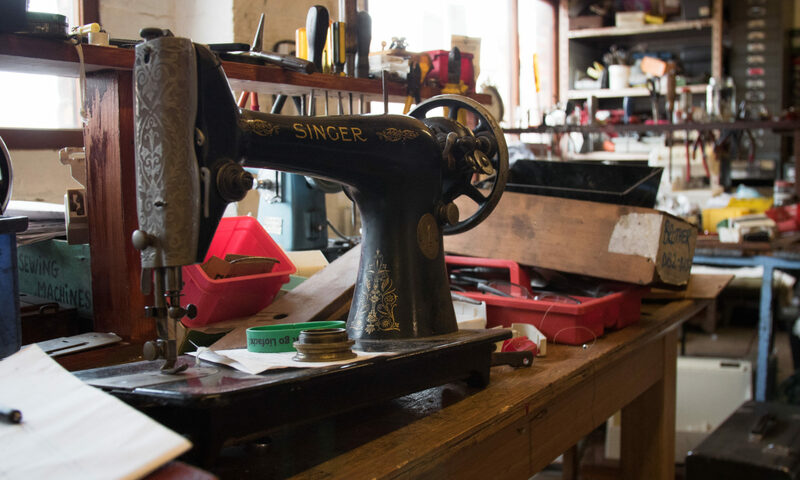 MSTC is supporting the tailoring groups by giving them access to high quality sewing machines and training. Each year between 300 and 400 groups are sent a support kit which includes a sewing machine, training on machine maintenance, a week long design course and some materials. The centre is also offering to the different districts an intensive training on mechanics to learn how to fix the sewing machines. In the different districts, local artisans are contacted by the local authority. Their needs are then assessed to make sure that they get the right kind of support and the right type of machine. The centre is self-financing within the country which allows the project to develop in response to the needs of the tailoring sector. For this reason a contribution is asked to the tailors who receive the support kit. The Mwanza Sewing and Training Centre wants to help small businesses especially women’s groups in rural areas, vocational training colleges and people with disabilities. Why refurbish the sewing machine overseas? The peculiarity of this project is that the sewing machines are refurbished in Tanzania by two trained local mechanics. There are several advantages in this approach: the skills are transferred to the country where the sewing machines are used; it facilitates the integration of maintenance, operational and design skill training, lastly it offers the possibility to develop other goods and services from the centre, such as technical training and local treadle production. One of the achievement of the Mwanza Sewing and Training Centre has been to develop a local production of treadles. Up to now the production of treadles sewing machine didn’t exist in Tanzania therefore they were imported. With the input of the Mwanza Sewing and Training Centre a group of artisans created an new design of treadle. Each year, hundreds of treadles are now produced by local artisans in Mwanza.